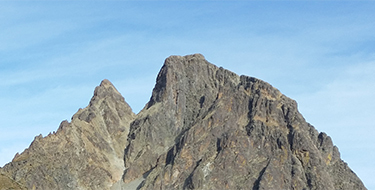 Find out all the details of a mountain flight mission to 3D model and measure the altitude of the Midi d’Ossau peak. Aeromapper is a dynamic and innovative startup. We believe in drones that gets the job done and creates value to our customers. Ultimately data is the only thing that matters and we place a strong focus on developping tools that turns imagery into valuable decision-making tools. The AVEM has been designed for topography and has every necessary characteristic to fulfill demanding data collection missions. Aeromapper can send exemples of data sets on demand to show its outstanding aerial imaging capacity. The AVEM integrates a tactical grade IMU (Inertial Measurement Unit) and GPS that guarantees the quality of your Digital Surface Models, cubic calculations and topographic products. Reduce the number of Ground Control Points (GCPs) thanks to a low distorsion focal, high resolution imagery and very steady flight. You will achieve centimetric accuracy in your planimetric and altimetric measurements. The AVEM's ease of use allows it to be quick to deploy and cost-efficient. Don't wait any longer to acquire updated data, whatever the project: in order to reduce your costs, collect valuable data, support your studies, ready to use in every post-treatment and GIS software. Our drone data collection technology allows to work closer to the crops (150 meters above) without compromising it. More accurate and more flexible than any other method like satellite or sample collection, our UAV allows to collect crop health data quickly and cost effectively. With a resolution 80 times greater than satellite imagery, our solution analyzes each plant of your plot and is no longer limited by a global view. Thanks to a unique RGB and near infrared imagery quality in terms of radiometrics, precision and resolution, coupled to an outstanding range and flight duration, the AVEM is the perfect tool to monitor, inspect and manage your networks either in construction or exploitation phase.